I've been running (as a form of working out) off and on for the past few years. As an engineer, data analysis is important to me, even if I'm a poor and slow runner. 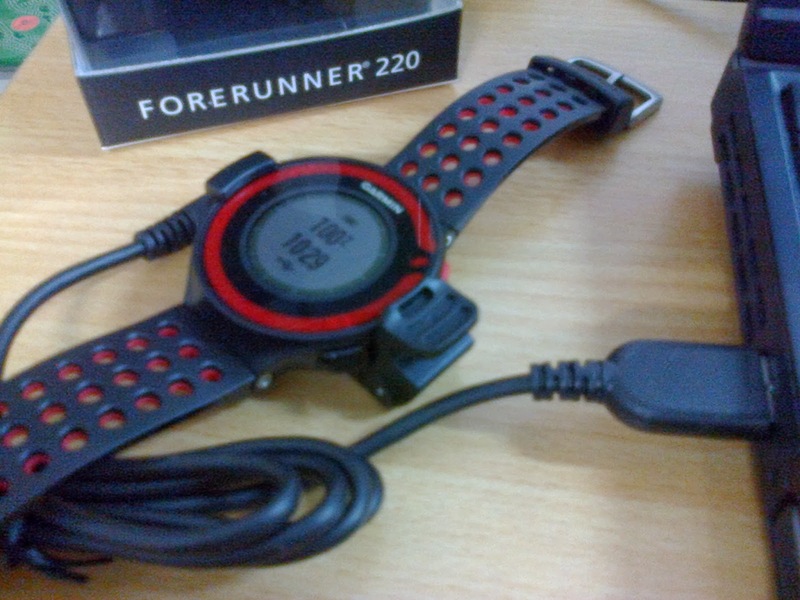 I first started with a Garmin Forerunner 205 to track and analyze my runs a few years ago. The 205 is a "GPS watch" and it relies on GPS signals to track distance and speed. The 205 only works as a GPS and doesn't support linking to "foot pods", which is required for running indoors (no GPS signal) or on a treadmill (no movement). Of course, at the time I bought the Forerunner 205, I didn't think I would ever run on a treadmill since I don't have one at home and I didn't plan on getting a gym membership. But eventually I realized that I had to run indoors during rainy seasons. Anyway, so I decided to get a Nike SportBand. The SportBand uses a foot pod (placed inside the shoe on specific shoe models or tied to the shoelace using an accessory or duck tape) to measure the foot's movement instead of relying on GPS for movement. So it works both outdoors and indoors, but unlike a GPS, it's not able to map the course of the run, and it needed calibration to the individual in order to be accurate. A lot of people say the Nike+ system is inaccurate and without calibration it makes most people think they're actually faster than they are, usually by 5% or more. Since I have both the GPS and the Nike+, I discovered that my Nike+ is actually slower than my GPS by about 5%. After calibration I get 99~100% accuracy compared to my the Garmin GPS. Fast forward to 2014. Recently I finally got tired of using two systems and constantly having to convert my workouts between systems (details in another post), so a few weeks ago I upgraded to a spanking new Forerunner 220 with a foot pod (purchased separately), so I can use one system for both outdoor and indoor runs. The Adidas Stride Sensor looks exactly like the Garmin SDM4 Foot Pod, apparently being manufactured by the same manufacturer. They both use the same ANT+ protocol, so they are completely compatible with each other. Strangely enough, it does NOT fit inside the Nike+ hole inside my Nike shoes, despite everything I read on the Internet that the ANT+ sensor is exactly the same size as the Nike+ sensor. But the Garmin / Adidas sensor is microscopically bigger and it does not fit. Stupidly enough, one thing that caught me completely off guard about the Forerunner 220 and the ANT+ foot pod is that the watch only supports linking to one foot pod at a time. This is unlike the Nike+ system that supports up to 10 sensors. When I was using the Nike+ system, I actually bought one sensor for each pair of shoes I have, so there's no need to swap the sensors. I don't quite understand why I can only link to one ANT+ foot pod on the Garmin. Am I supposed to move the foot pod to whichever shoe I decide to wear before I start my workout? Completely illogical. Trust me, I tried every orientation. The Garmin foot pod doesn't fit the Nike+ cutout. 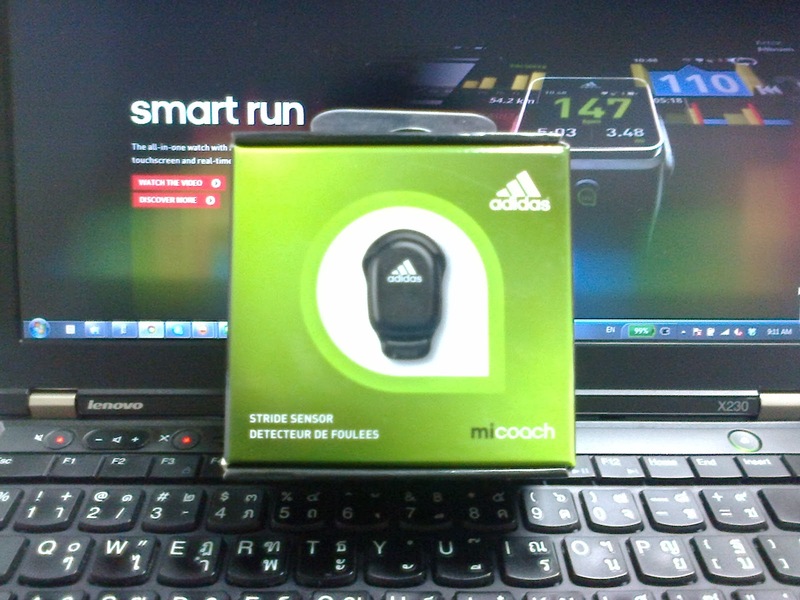 Since writing this post, I've also gotten the Adidas SPEED_CELL, it also doesn't fit. FR220 has an integrated accerlerometer for indoor runs. No footpod required. Just turn GPS off to make sure you don't have reception through windows unintentionally. To do this once, press UP key when RUN screen is displayed. Since you have the FR 220 and a Foot Pod I was wondering if you compared the built in accelerometer to the food pod for cadence accuracy? I know that the watch will use the foot pod if it is connected, but with your engineering background did you test the two. I just got the FR 220 and debating if the foot pod is worth it for cadence sense the accelerometer does give me a reading. The internal accelerometer is very accurate, however it's only good if you're running at a constant rate (such as on a treadmill) and swinging your arms normally. It doesn't quite work if you make sharp stops and orientation changes. When I run indoors, I don't actually run on a treadmill, on a single direction indoor track, so I have to make 180-degree turns on the ends of the track, which confuses the internal accelerometer, while the footpod knows I make a stop and turn around.